What in your business is right in front of your nose but you can’t see it? I am constantly amazed at the number of missed opportunities by businesses when they are trying to grab your attention and get their message across. This block of factories are in a prime location on a major freeway in Melbourne, I’m sure many of you recognise it as you exit the Ringwood tunnel on Eastlink. It has tens of thousands of vehicles going past each day, and the first impression I get is totally underwhelming. No doubt they are spending hard earned profits on marketing to attract new leads, yet right on their front door is a massive missed opportunity. Their front of house is a golden opportunity to market to thousands of potential clients. Why is it a missed opportunity? They have not thought about their strategy and how this prime position, which no doubt was a major reason why they took the location, could be leveraged. It is clear that they did what most owners do, simply called the local sign writer and dictated a message to be put up on the windows. Note; Signwriters are not local marketing strategists, they will create what you ask them to, often help with styling but strategy, “the WHY”, is never discussed. The Landlord has diligently provided space for the client and the end result as you can clearly see is a mish-mash of messages that, let’s be blunt, misses the mark. Ponder for a moment the missed opportunity cost to each of these businesses caused by an unclear message. Not only for their business but as a group. This could have been avoided by collaborating together, bringing in a professional design and strategy service that would help them create a clear message and call to action that really grabbed the attention of the thousands of potential customers that travel past each and every day. As experts at local area marketing why not give us a call to see how our “outside the box” thinking can help your business. 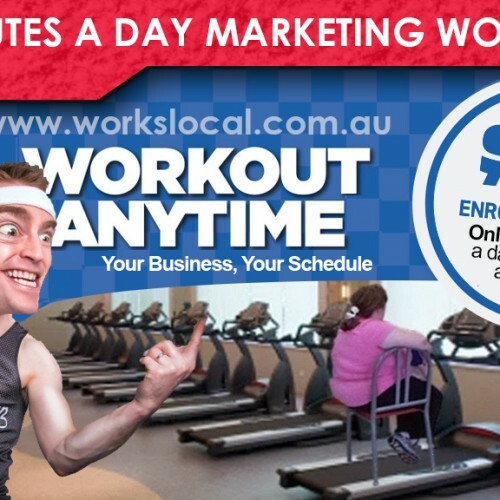 Call us on 1300 946 227 or send us an email at getconnected@workslocal.com.au. Do you really understand what Franchise Local Area Marketing is?